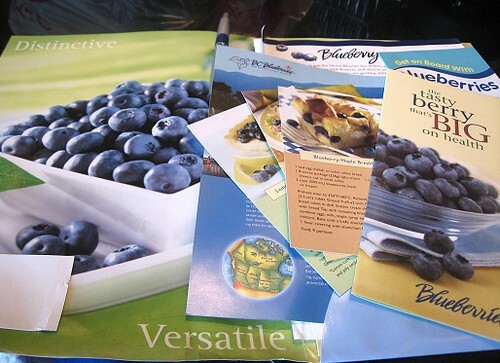 As mentioned, we had 4 pounds plus 8 small containers of blueberries in the house. 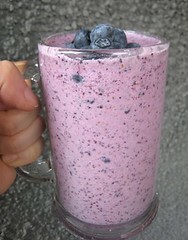 The easiest thing to do right away, besides eating them as is, was to make blueberry drinks. This was during an extremely hot week in Vancouver (as opposed to the 13-degrees Celsius "summer" weather we've also been having), so we wanted something cold and fast! I threw in some yogurt (incidentally enough, it had "fruit on the bottom", the fruit being blueberry), ice, blueberries, and a touch of milk and buzzed away! 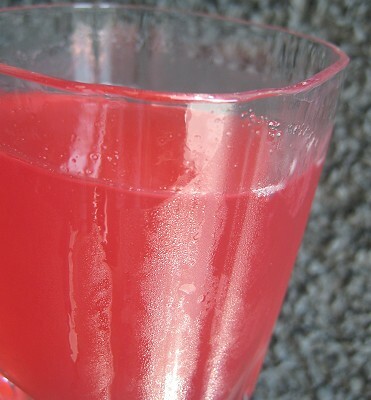 For my carbonated drink, I thought, why not use Calpis? Calpis is a Japanese drink with a similar taste as Yakult, a very light, "yogurt-y" flavor. I actually wanted a stronger Calpis taste in my drink, but the Calpis Soda that I bought was more soda-y that anything else. 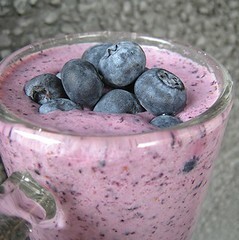 My vision was a milky-white drink with ripples of dark purple from the blueberries. I set about making a quickie blueberry syrup. I placed some blueberries in a small bowl, added a squeeze of lemon juice and a touch of sugar, and microwaved the whole lot for a few seconds (30 seconds to a minute or so) until the blueberries were saucy. I then used the hand blender to purée the mixture. I drizzled the syrup into my Calpis, excited about my purple ripples, but the entire drink changed color! I was determined to try again. But, disaster ensued! I was quickly rinsing the hand blender head and yes, it was still plugged in. You may now use your imagination at this point. The result was three cuts on my left index finger: one deep one, and two smaller ones. I quickly rinsed my finger and placed a bandage on the triple cuts. That large one was oozing and oozing blood, I tell you. I tried to make my rippled drink, but it was not to be. This still looks pretty, right? A little bit? 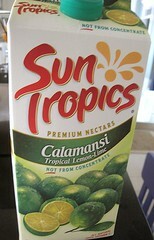 Since I already had my blueberry sauce out, I decided to make another drink, this time with calamansi juice. I added just the teensiest amount of blueberry syrup. 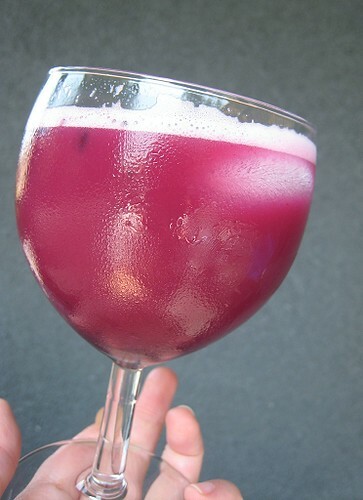 Instead of a purple drink, this one was a nice red. 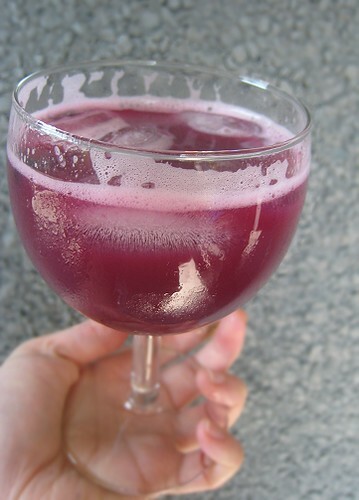 So there you have it, 3 quick blueberry drinks great for hot weather. But, it seems I barely made a dent in our blueberry stock! We thought of three other things we could do with blueberries, but only had time to make one of them before having to leave. Stay tuned. Other blueberry posts on [eatingclub] vancouver: click here. 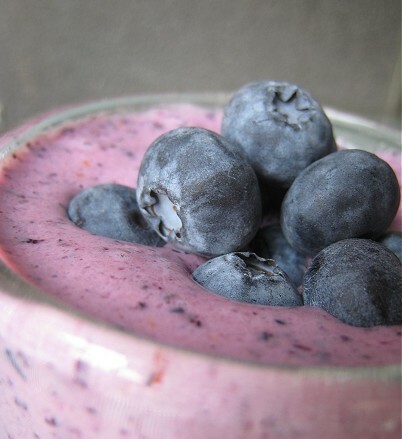 That is one really nice looking blueberry smoothie! 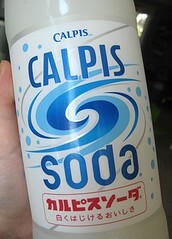 Where can you get Calpis Soda in Vancouver? Fujiya? That Korean shop downtown? I want to make sure before I head out to buy it. We just got ours at T&T (Richmond). The one downtown should have it too. I haven't been to H-Mart, but I'm thinking they would have it as well. Not sure about Fujiya.